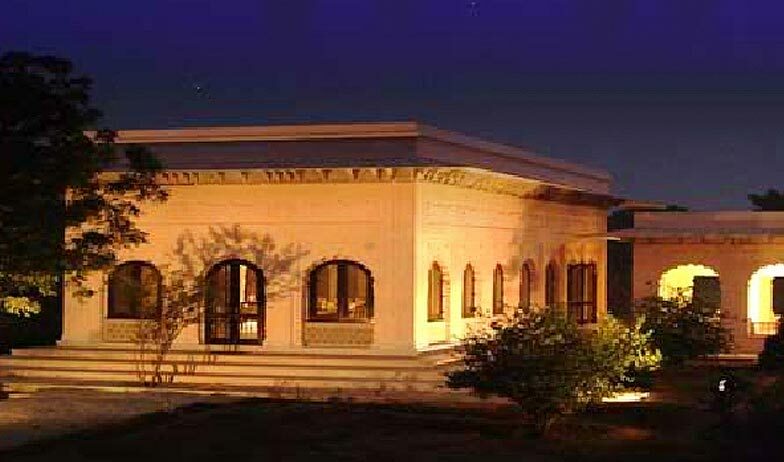 The Bagh resort is a heritage property located in the midst of a 200 year old garden in Bharatpur, Rajasthan. The resort is spread over an impressive 12 acres of land and lies only four hours away from major cities like Delhi, Jaipur and Gwalior. 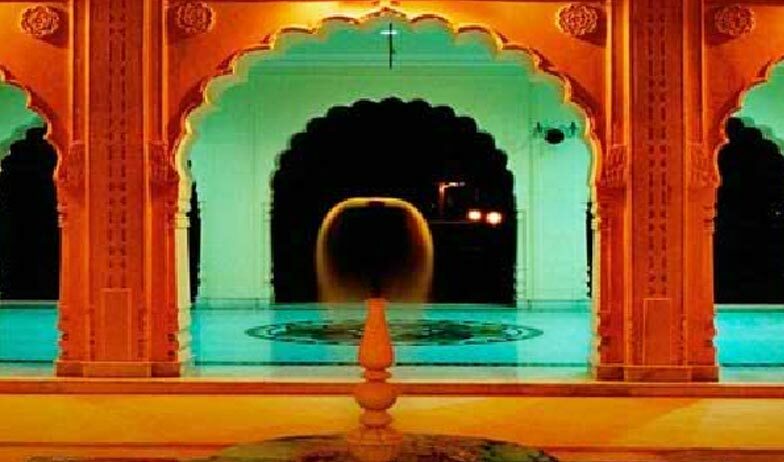 The resort sports a typical Rajasthani décor with its marble flooring, pillared corridors and classic courtyards. Tourist attractions around the resort include Jawahar Burj (4 Km), Satguru Baba Dwarika Das Ji Maharaj (3.8 Km), Asht Dhatu Gate (4 Km), Interpretation Center (5.1 Km), Salim Ali Museum (5 Km) and Keoladeo National Park (8 Km). The resort is only 6 Km away from the railway station and 2.7 from Saras Circle Bus stand. Kheria airport lies 49 Km away. Amidst the beauty of the gardens and the greenery around it’s a delight to enjoy the various facilities provided. The resort has a conference hall that is perfect to hold lectures and seminars on ornithology and history. The guests can relax at the fully equipped gym and enjoy a lazy swim in the swimming pool. The resort also has a special Spa that makes use of organic materials grown locally to give an unparalleled experience for the senses. Jacuzzi, Steam and Sauna bath are available at the spa. The resort also has a business center and is equipped well to handle most business needs. Banquet hall can be used to host many events. The resort also has a good collection of books on history and birds in their library. The resort has a renowned naturalist Mr. Vishnu Singh living as a resident at the resort. The amphitheatre of the resort is used for yoga classes and performances. Unlike other resorts Bagh has a vintage garage holding gems like a 1946 Chrysler Plymouth, a 1938 ten series III Morris, a 1918 Model T Ford and a jeep from World War II. The various services offered include laundry services, airport transfer, travel desk, games room. The resort has 23 well appointed rooms that are divided into Deluxe and Luxury rooms. All room are air-conditioned and come with internet access. 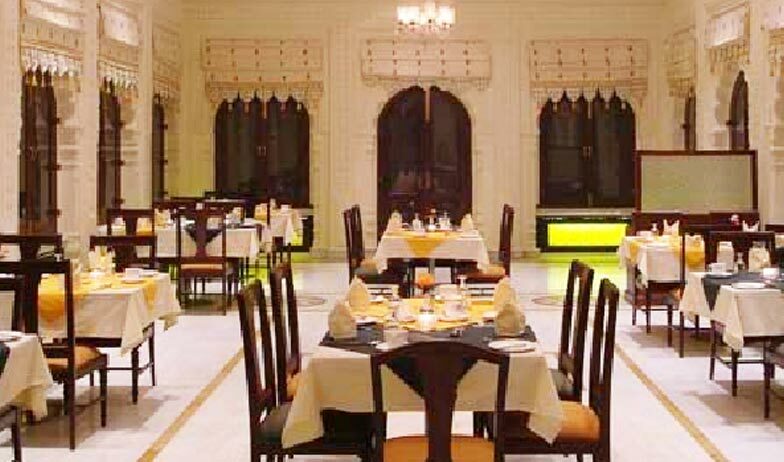 Gulmohar, Mayur, Mahua, Morchalli are the main restaurants and bars of the resort. The resort is the recipient of the Certificate of Excellence for the year 2013 from Tripadvisor. Luxury Rooms in the hotel truly exude luxury. These rooms come with a view of the manicured gardens and comprise of a veranda, patio and separate sitting area. The rooms are finely furnished with handmade furniture. The various facilities offered are a Mini bar, safe, telephone, newspaper and internet access. The attached bathroom is spacious and fitted with modern fittings. Deluxe Rooms come with their own veranda, patio and sitting rooms. They are nicely furnished and the interior is done up quite nicely as well. The various amenities offered are safe, telephone, Mini Bar and newspaper. Internet access is easily available in the room to stay in touch with clients, family and business partners. The accompanying bathroom is quite large and comes with modern fittings. 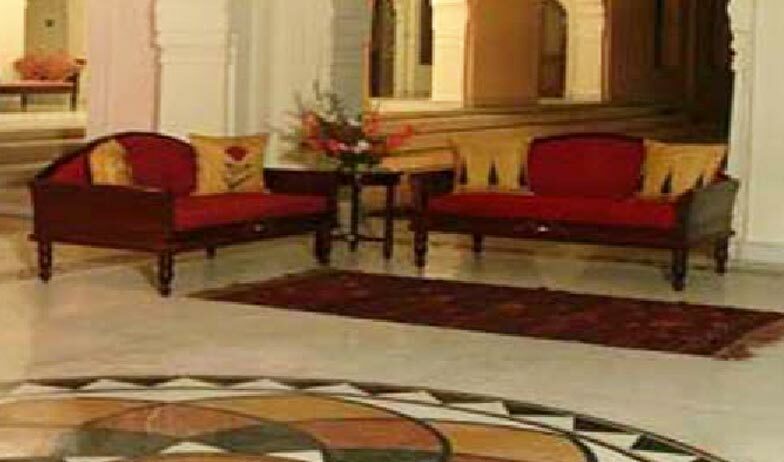 To begin with accommodation of the resort, the first mention must be the reception area of the hotel is named Mayur. The reception desk is always at the service of the guests. 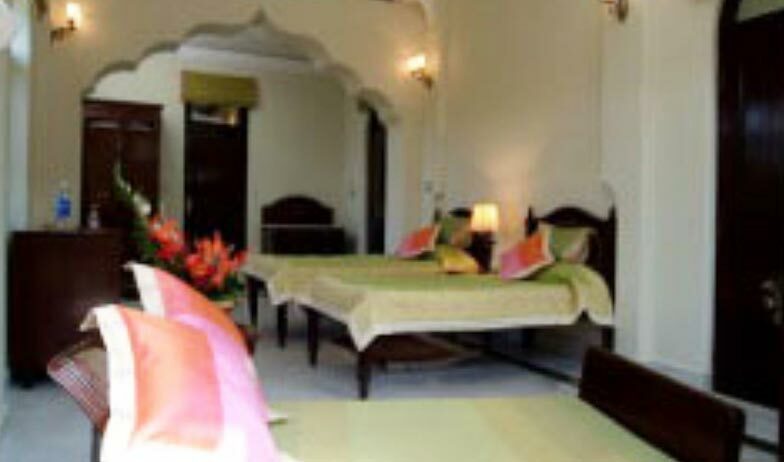 The accommodation of the Bagh Resort comprise of mainly three residential complexes. While the first residential complex is named Champa, the second and third residential complexes are named Mograand and Gulab Bhvans respectively. 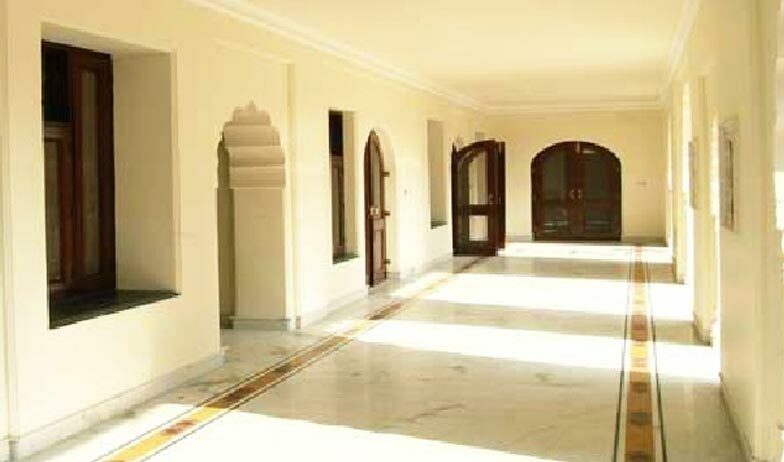 There are 23 rooms in the different residential complexes of the Bagh Resort. 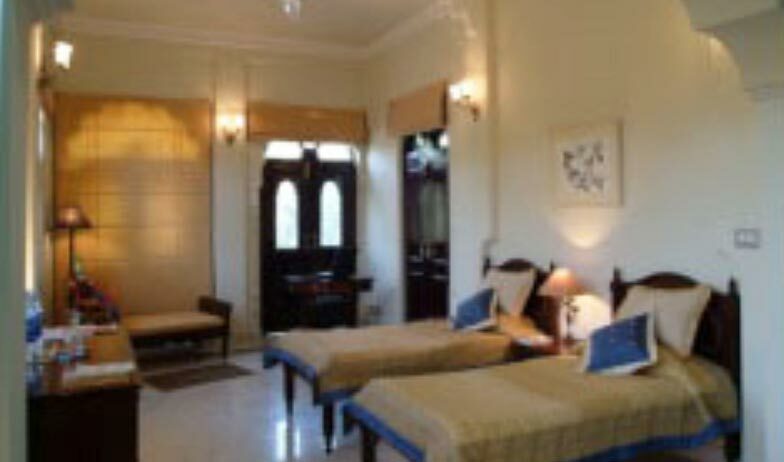 All the guest rooms of the resort are facilitated with modern amenities and services. Some of the common services prevalent in the rooms include attached bathrooms, mini bar and fridge, color television, phone, writing desk and the like. Spectacular furnishing, opulent fabrics and modern amenities of the rooms make the guest feel like at home. The Bagh unlike most places offers a unique cuisine, a regional one from Braj. Braj cuisine is cooked to make Lord Krishna happy and therefore is purely vegetarian. Despite it being a vegetarian restaurant Gulmohar undoubtedly serves a delectable variety of dishes. To suit individual tastes the restaurant also serves other cuisines but Braj is its specialty. Morchalli is the indoor bar of the resort and has quite a collection of alcoholic and non-alcoholic drinks. Since drinking on an empty stomach is quite bad, the bar also offers light snacks to accompany your drinks with. If one likes to enjoy their drink outdoor amidst star gazing then Mahua is the right place. It is the outdoor bar that serves both alcoholic and non-alcoholic drinks. A resort is never complete without great coffee to accompany enlightening conversations with. Chat along while sipping delicious coffee from the coffee shop. The coffee shop overlooks the gardens which make for a great view.